Nipsey Hussle’s family and friends mourned the late rapper during a private viewing ‒ one day ahead of the Staples Center celebration of his life with tens of thousands of fans. Close loved ones packed the Angelus Funeral Home Wednesday afternoon on Crenshaw Blvd. Nipsey’s brother, Samiel Asghedom, was among the attendees at the super secret service. TMZ reported that security was tight. 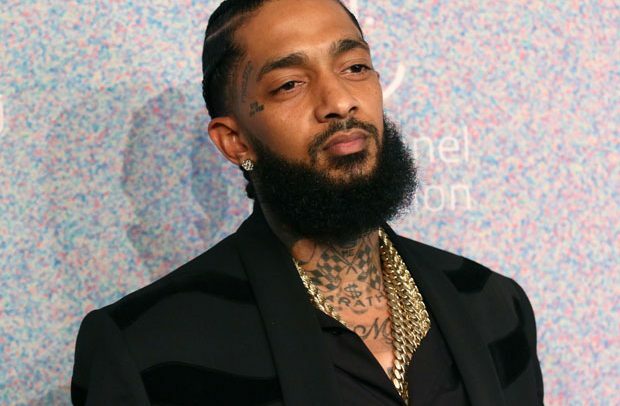 Several men had a checklist to make sure only invited guests‒ Nipsey’s inner circle‒ were allowed entry. That procession will be preceded by Nipsey’s Celebration of Life, hosted at Staples Center for 21,000 fans, family and friends. As we reported‒ the free tickets were gobbled up within minutes and AXS, which handled ticket distribution, says it’s cracking down on scalpers. The event will be heavily guarded‒ with help from LAPD, members of the Nation of Islam as well as Staples Center Personnel. Meanwhile, tons of fans have continued paying tribute outside Nipsey’s Marathon Clothing store‒ leaving candles, flowers and messages in the parking lot.